Well I've been to the dentist twice in the last 2 days! I had to go see him yesterday for my regular checkup and today to get a filling. I hate the dentist! To add to my hate I managed to lose my car keys when I needed to be walking out the door so I was late by the time I found where I put them! 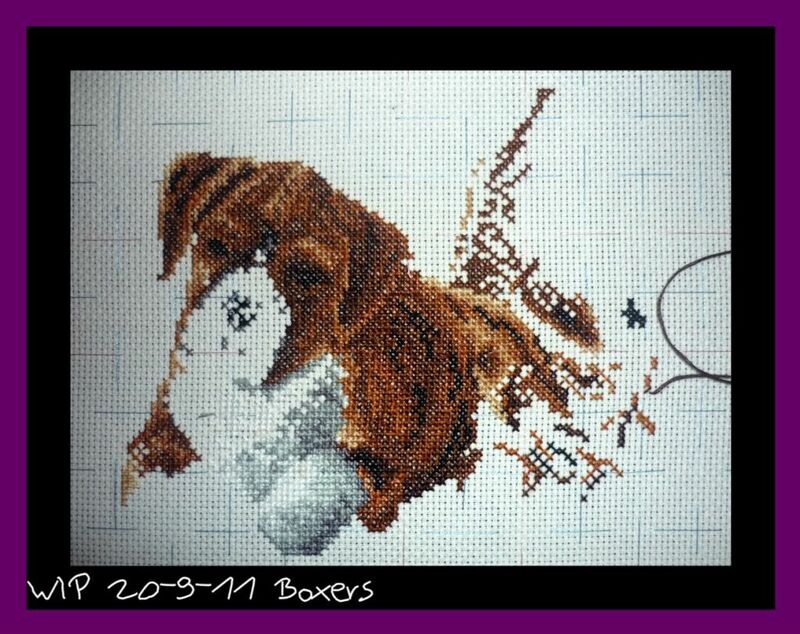 But on to good news I have done some work on Boxers. It doesn't look much different but the paw is now all white and so is part of the chest. It is hard to see against the white and it's hard to stitch against the white! 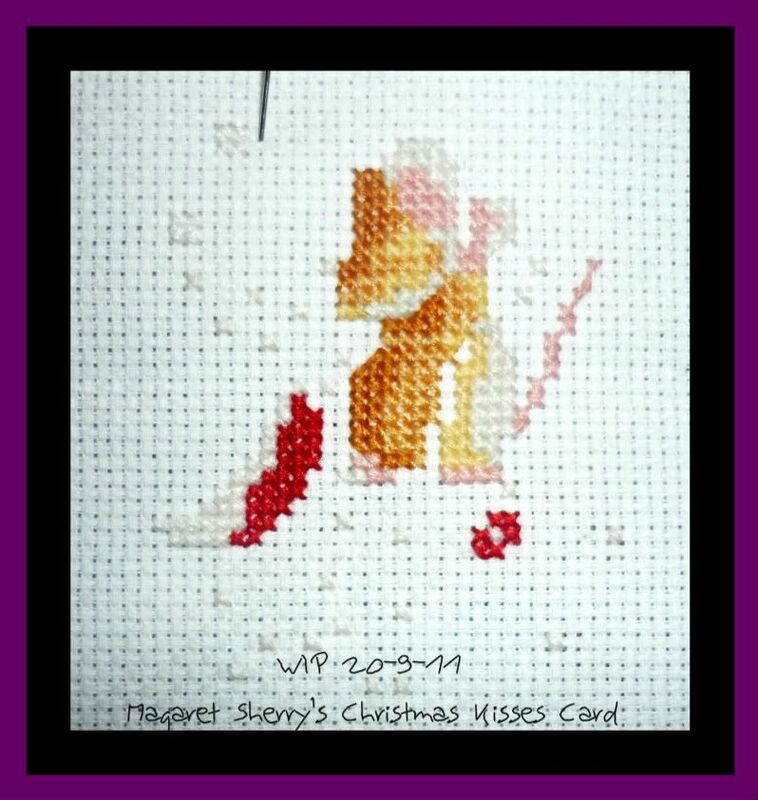 I've also been slowly working on the Margaret Sherry card. it sits in my handbag for those times I can't carry a big kit around. It's getting there slowly I'm not regularly working on it but it was useful at the dentists today it was something to with my hands while waiting. Because even though I was late so was the dentist. Hopefully tomorrow will be much better! Awww, the boxer has such a cute face! Can't wait to see the other guys, too!